​Far Northern Australia is a land of extremes. Huge bushfires ravage the ancient landscape in the dry season and the world’s biggest thunderstorms bring torrential rain and flooding in the wet season. These almost Jurassic conditions have created some of the richest wetlands on Earth. The coast, rivers and waterholes are haunted by sharks. The plains are guarded by territorial buffalo and venomous snakes but the apex predator here is a living dinosaur the salt water crocodile. They have been on the planet in almost identical form for 200 million years - even surviving the meteor strike that wiped out the rest of the dinosaurs. Crocodiles are the ultimate predators. They attack with stealth, are extremely aggressive and can grow up to 7 meters in length. Up here, they have even been known to attack and pull fisherman out of boats. This film will carry the viewers across the whole Top End of Australia, from the wild Kimberly coast through mysterious and rarely seen Arnhem Land and then deep into the world’s oldest rainforest in Cape York. Come with us on an epic journey through some of the wildest landscapes on Earth as we take you deep into crocodile’s world. AUSTRALIA'S GREAT WILD NORTH is shot in magnificent 8K for IMAX® and other Giant Screen theaters. Specialized underwater camera rigs were designed to get the audience closer than ever before to the most powerful jaws on Earth. 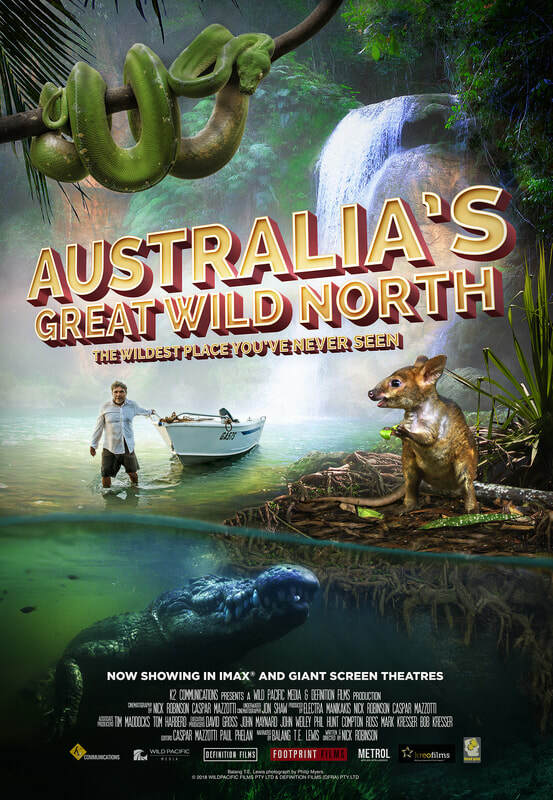 Australia's Great Wild North is co-produced by Wild Pacific Media and Definition Films. The film is distributed in Australia and New Zealand by Madman Entertainment, and distributed to the rest of the world by K2 Studios Australia Pty., Ltd.